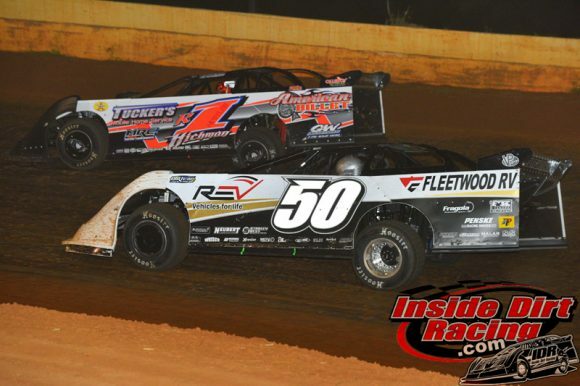 The Southern All Star Dirt Racing Series ventured to Smoky Mountain Speedway on Saturday night to contest a $5,000-to-win feature as part of the tracks Big Daddy 500 event. 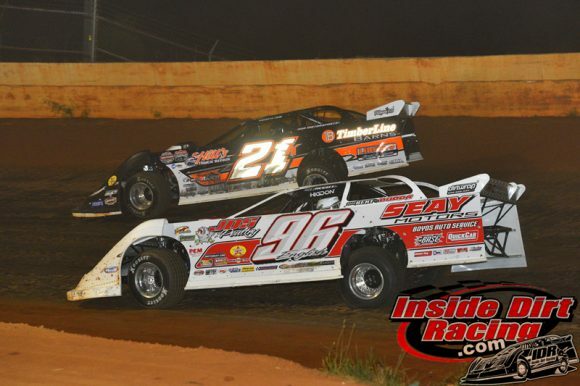 In the end, hometown hero Tommy Kerr led a Blount Motorsports sweep of the top two positions as he beat out teammate Casey Roberts at the historic Maryville, Tenn. track. Kerr began the night by setting fast time in Group A qualifying and overall when he toured the 4/10 mile clay oval in 17.127 seconds. That lap not only earned the No. 4T machine the pole position for the feature race. Also locked into the main event from the first group were T.J. Reaid, Steven Roberts, Jay Scott and Kenny Collins. Riley Hickman led the way in Group B with a mark of 17.346 seconds to better the efforts of Casey Roberts, Stacy Boles, Dakotah Knuckles and Vic Hill. Cory Hedgecock and Tanner English won the two B-main races used to set the remainder of the starting lineup. Kerr immediately shot to the front of the pack at the start of the 40-lap feature with Hickman, Casey Roberts, Reaid and Boles trailing. Scott, who entered the evening as the SAS points leader, moved into to challenge Boles for the fifth position on the second circuit as Kerr worked to slip away from his pursuers. A lap 7 caution for a blown left rear tire on Hill’s machine bunched the field and set up a restart. Boles moved around Roberts for third when the green flag waved while Hedgecock jumped all the way up to fifth in the running order. Roberts reclaimed third as he moved by Boles on lap 9 while Scott and Reaid fought for position just outside the top-5. Shanon Buckingham began making a charge toward the front when he passed by Collins to grab the eighth position on lap 17. The race’s second yellow flag was displayed at the halfway mark when Ray McElhiney stopped on track. Hedgecock moved around Boles to take fourth on the restart then Buckingham also moved around Boles to enter the top-5 just one lap later. After a lap 22 caution. Roberts was able to pass Hickman for the runner-up spot at the same time Buckingham made an outside move stick as he went by Hedgecock to claim fourth. From the point, the two Blount Motorsports cars moved just far enough ahead of the field that they could settle the issue among themselves. With just three laps remaining, Roberts pulled alongside Kerr off of turn 2 as the brightly colored yellow machines roared down the backstretch. But Kerr was up to the challenge as he bolted ahead in turn three and was ultimately able to beat back the attempt of his teammate. 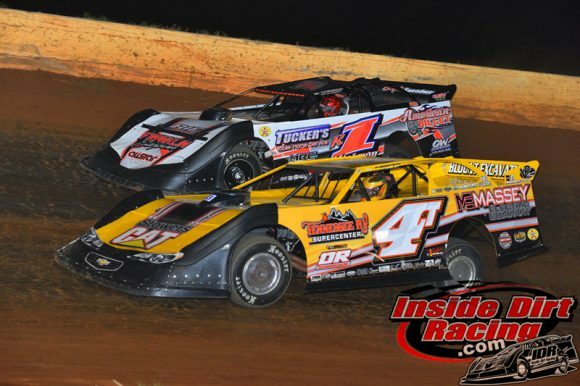 The Chevrolet Performance Super Series rolled into the Smoky Mountain Speedway on Saturday night to take part in the Big Daddy 500 event. 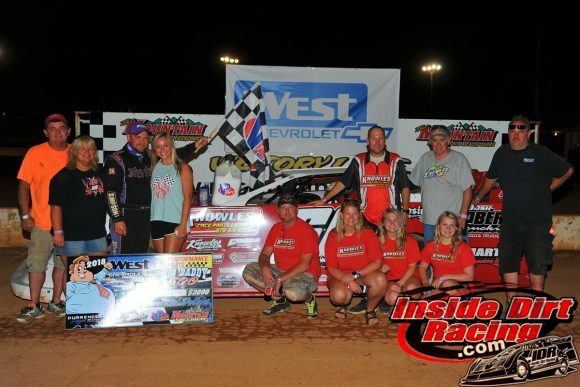 Georgia driver Jake Knowles came away from the Maryville, Tenn. facility with the win and the accompanying $3,000 payout. 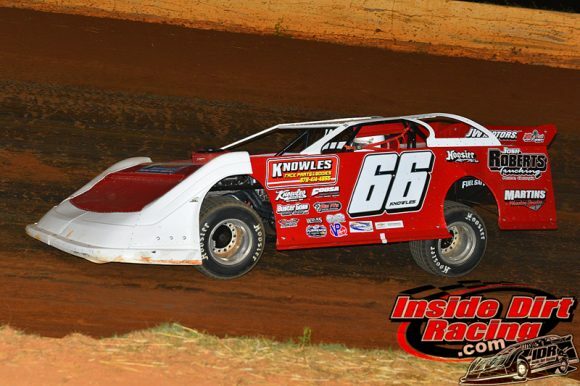 Knowles proved to be the fastest in time-trials when he led the 17-car field with a lap of 17.362 seconds around the 4/10 mile clay oval. The top-10 qualifiers were locked into the feature which placed Joseph Brown, Chip Brindle, Ronnie Johnson, Chase King, Cruz Skinner, Zach Pilcher, Landon Bagby, Dalton Polston and Dale Thurman on the starting grid. 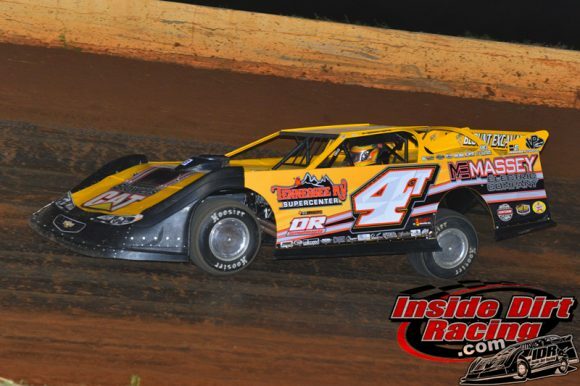 Oliver Gentry won the sole B-main used to set the remainder of the starting lineup. At the start of the 40-lap feature it was Knowles who went to the lead with Brown, Brindle, King, Skinner and Johnson following. Johnson moved forward on lap 2 when he passed by Skinner to assume the fifth position in the running order. Soon after the start it would be the top-5 of Knowles, Brown, Brindle, King and Johnson who would break away from the rest of the pack while running in tight formation around the track. 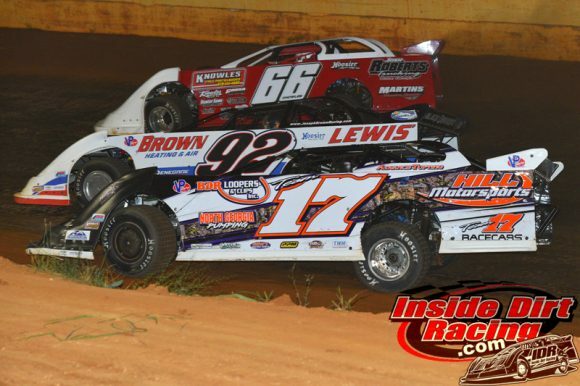 Brown closed in and looked inside of Knowles for the lead on lap 8 but the No. 66 machine fought off the challenge. The race’s only caution flag flew on lap 13 which regrouped the field. On the ensuing restart it was Johnson who would again seize the opportunity to move forward when he got by King to claim fourth. Two laps later the car driven by Pilcher would also move around King to take the fifth spot in the running order. Further back, Bagby took the eighth position away from Polston on lap 24 while the top-4 cars of Knowles, Brown, Brindle and Johnson broke away in an effort to settle the affair among themselves. As the laps clicked away, Knowles crept out to an advantage of about five car lengths as Brindle closed in on Brown for the runner-up spot. Just after taking the white flag Brindle managed to briefly take second but Brown fought back to secure the position at the finish line. But it was Knowles who beat everyone to the checkered flag.